While having a newborn at home is a joy, it is also time-consuming. Taking care of even the simplest of tasks during the day can be a challenge as you juggle feeding, cleaning, and naps. Not to mention the sleep deprivation that comes along with cyclically meeting their needs. One of the most necessary and often difficult chores on the to-do list is making sure that everyone gets a hot and healthy meal. Therefore, over the next week and a half, we will be doing a brief series on meal delivery options in a few of our service locations. These services also make a wonderful gift for any new or expectant family this holiday season. Below you will find a brief description of seven Washington, DC meal delivery options that are viable for new parents. Territory – This DC meal delivery service prides itself on being “one part chef” and “one part nutritionist” with the result being delicious meals that are nutritionally balanced. Vegetable and Butcher – Looking for seasonal, chef-inspired meals made from ingredients that are sustainably sourced? Look no further than Vegetable and Butcher for amazing meals at your fingertips. Foodhini – A unique take on the typical DC meal delivery service that creates sustainable jobs for immigrants and refugees in the DMV. The result is authentic, multicultural culinary experiences delivered to your doorstep. Galley – Celebrated for their flexibility and no-membership/subscription model of doing business, Galley provides incredible meals that are perfectly portioned and only require heating. MezzeBox – While technically a catering company, MezzeBox produces all of its food in small batches and sells their meals by the box, so it is easy to use them as a DC meal delivery service for Lebanese cuisine. Healthy Chef Creations – One of the best organic meal delivery services in the entire DC metro area, all their meals are made to order using fresh ingredients. 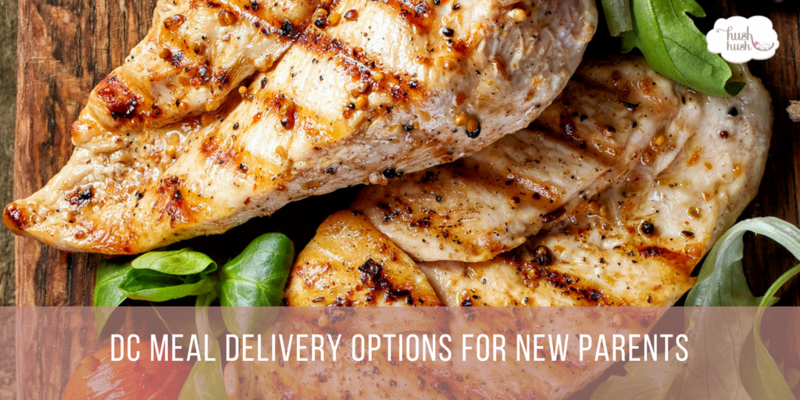 Healthy Fresh Meals – Offering Clean, Low-Carb, and Custom menu options for their customers; check out this meal delivery service to help you maintain your healthy lifestyle during the postpartum days. While there are many more DC meal delivery services available in the DC, MD, VA area, the ones listed above have built a reputation for quality food and exceptional service. Check out each company’s website for more information.